There are so many fads and gadgets on the market. We narrow our summer essentials down to those absolute top performers that we use, love and are motivated to carry with us repeatedly on our travels. These are our most loved of 2019. With the mercury hitting 34°C (93°F) in October here in Australia, we’re already in full summer swing. Long sunny days, sand between our toes, road trips and nightly BBQ’s are just a few of the many things we’re looking forward to this summer. Today I thought we’d share our 2019 summer essentials that we’ll be taking along with us on our adventures. I’m sure you’ll be spotting many of these in our Insta Stories over the next few months. There are so many new products to market each year but we try to buy and keep only those things that we use often and really love, anything more just creates clutter. When something makes it to our essentials list it’s been thoroughly considered, tested in real life and genuinely found a place in our kit. If you have travel enthusiasts to shop for this holiday season you might find some ideas here or perhaps an inspiration for your own summer wish list. Dips in the pool and days at the beach are essential for staying cool in the summer heat and humidity. While I spend summer with a bag packed ready to go for just that reason, traditional beach towels can be a bit bulky. They’re also slow to dry, heavy when wet and get clogged up with sand that can give you a very unwelcome exfoliation as you dry off. Tesalate towels are a newer addition to our kit but have already made a couple of trips to the beach and taken a place in our travel bags. Although we generally stay in hotels with big fluffy towels we still carry our own in our day bags as they invariably come in useful on a trip. We’ve used them for everything from drying off after that unexpected foot onsen we found at the end of a hike just out of Osaka to claiming a space in the afternoon sun at a food festival we discovered in a city park. A Tesalate towel is a great option for all of these uses. It folds up super compact and fits into its own pouch to carry. It’s really absorbent allowing you to dry off quickly, and even when it’s wet, the sand doesn’t stick to it. I’m not sure what sort of voodoo magic that is but it really works. They come in super cute colour combos and for those like me who love a monochromatic aesthetic they have great black and white designs too. Living in a sub-tropical climate we head to the beach regularly all year round so this one has found itself a permanent spot in my beach bag. For the campsite or road trip, we’re loving the OZtrail Sun Lounger Deluxe. The padding and tension in the lacing are super comfortable and the headrest adjusts to just the right spot. Whether sitting up or reclining, legs stretched out or down, you really couldn’t get more flexibility from a chair. The timber style armrests look extra classy and at the end of the day it folds up into a convenient canvas furniture bag for easy carrying and storage, the bag also keeps any stray sand or mess from the day from getting spread throughout the car on the trip home. OZtrail is known for their quality and you can see that these are well made so I’m confident they’ll last the distance. Picnics and BBQ’s are a mainstay of summer and the tray table and drink holder are perfect for this. Being attached they pack away conveniently under the chair but are stable and a decent size to set your self up for a very comfortable day. The loungers are a bit bigger and heavier than our standard beach chairs but this is a whole different level of luxury. The chairs recline virtually flat, I’m not going to confirm or deny but it might have been possible to take a fairly sound nap in one of these! Having grown up in NZ and now living in the sub-tropical paradise of South East Queensland I’m always happiest in bare feet or my thongs (jandals as we call them back in New Zealand). That was until 2 years ago when plantar fasciitis created intense heel pain unless my foot was fully supported and cushioned. Finding the Archies arch support thongs has made a massive difference and got me back enjoying walks in the sand. 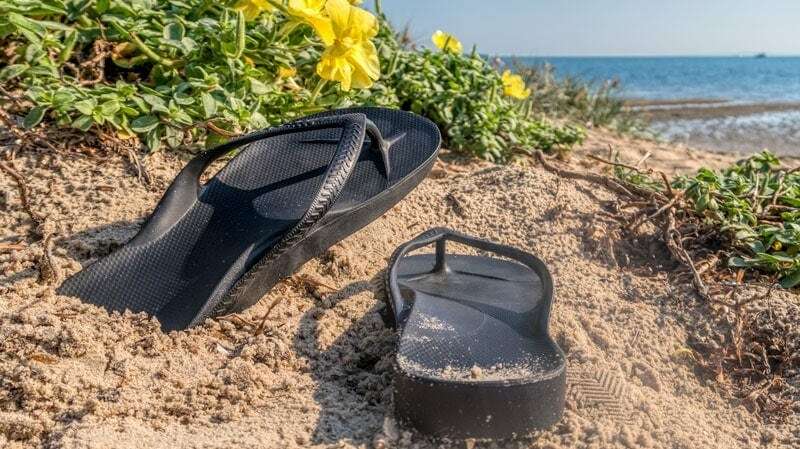 They look just like the minimalist rubber thongs we’ve worn since we were kids but are constructed with some subtle but important differences. Those differences make them comfortable to walk in and wear for an extended time. The heel section is elevated slightly to reduce the strain on the Achilles tendon, they’re made of soft memory foam for comfort on sensitized feet, the strap fits firmly but comfortably preventing you slipping around in them and they have a choice of two arch support levels. My preference is the high arch, which provides similar balance to my foot as my normal orthotic inserts. Although Drew doesn’t have any specific foot problems he’s been wearing the Archies normal arch and also finds it comfortable, especially the subtle shaping around the toes that prevents rubbing and gripping. I love that this range was created by a young Australian physiotherapist who saw a gap in the market. Not only is it always good to support a local brand but who knows thongs better than an Aussie. For obvious reasons, these have also quickly become a summer staple. While my thong of choice is black, no surprise there, you can check out the full range of colours here. 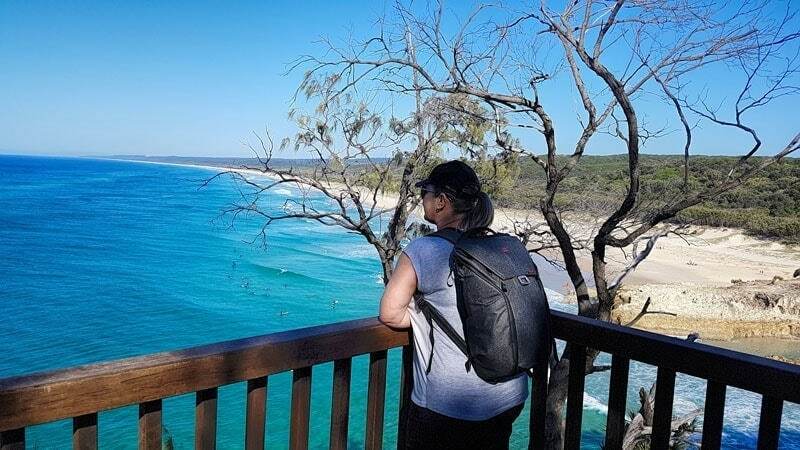 It took a while to make the investment in the Peak Designs everyday backpack, these aren’t a cheap option but it’s versatility, style and functionality have made it an indispensable part of summer and my travel kit. So much so that Drew also just bought himself one, in the bigger size. The designers started out with a Kickstarter project to create the ultimate everyday backpack, and it really does function for most daily purposes where you’d consider a backpack without compromising on how well it serves the purpose. I’ve been looking for a better camera backpack for a while, the one I had was good but it had a few weaknesses that for me were really frustrating. First of all, it didn’t have external pockets for a water bottle and while I could squeeze a small one into the top section I really didn’t like it lying on its side above expensive camera equipment. My peak design has 2 big but grippy pockets that hold a good size water bottle upright, it doesn’t move and it doesn’t fall out when I lean over. Secondly, often when I want a camera backpack I’m travelling on a plane. All my delicate camera gear plus electronics like laptop and iPad and in-flight comforts also need to come with me. My previous bag just couldn’t fit all that so I ended up with 2 pieces of hand luggage which is a pain when you travel a lot or move around a bit at your destination, you really want it in one compact piece. The Peak Everyday fits as much as I need in the one bag but everything is structured to make it easy to get at what I want. Another issue has been the limited choice of backpacks that are comfortable on my narrow shoulders, I’m just under 5’2″ and while I’m a little rounded I do have a small frame, not many packs are made to fit me comfortably. The everyday backpack comes in a choice of 20L and 30L to fit different back length and requirements but most importantly the attachment of the straps is pivoted and it sits perfectly comfortably whether it’s around the airport or on a day hike in the rain forest. I plan to add a full review of this and how I set it up to get the best use from it soon as it has been a game changer but you can take a closer look at the specs here. Chilled out tunes for relaxing to and an energized beat to inspire exercise against the odds are essential for summer. I’m way behind the times having only signed up for Spotify 6 months back but we’re absolutely loving it. I don’t need to spend time anymore creating new playlists as my mood changes, they do it all for me and pretty much anything I could think of to listen to is on there, very useful when you have very eclectic tastes and a few decades of memories to choose from. I also don’t need to manage a dis-organised selection of music from so many different sources. What’s on my playlist? A whole lot to be honest but I’m loving working this summer to the laid back sounds of the Your Favorite Coffeehouse playlist and for the road trips what good Gen X can go past the 80’s rock anthems (sorry in advance to my millennial friends). This little beauty is hard to go past as a staple in the caravan, for camping and day trips. We’ve now started using ours as our main BBQ at home too. It’s even lighter to lift than it looks, easy to clean and you can cook a lot more on it than you would expect from its seemingly small size. 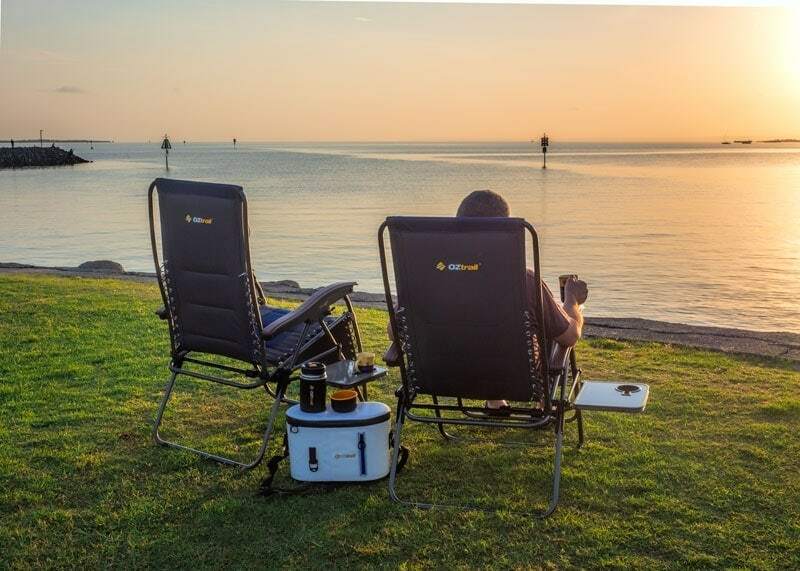 Being gas powered it’s safe to use and generally permitted even in the National Park’s that we love so much but it’s equally quick and easy to pack up and head to the sea breezes for an impromptu outdoor dinner with a million dollar view. I do have to say that there are a lot of optional extras available for these and they can get a bit spendy if you buy them all at once. 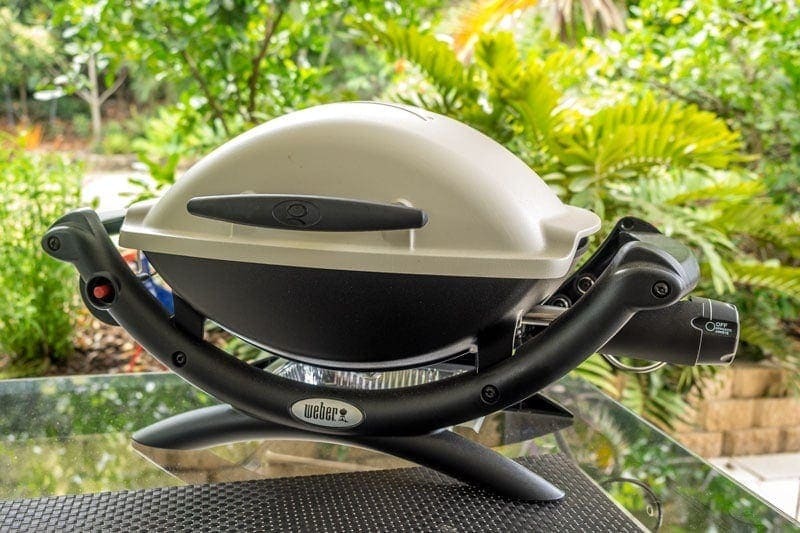 The basic setup lets you cook all the family BBQ favourites but I would say the extra accessories can make a real difference to the results and diversity of dishes you can prepare on your BBQ. Something I’m finding super useful this summer is my Longchamp Le Pliage Tote. Originally I purchased it for its durability, large capacity and that it folds up small and flat but it’s turned out to be a great beach bag too. I have the tote in the large size and black of course which has tan leather handles in the over the shoulder bag style, I find these more practical than the smaller hand grip handles as they give me the choice of carrying it comfortably either way. When travelling I pack it in the bottom of my suitcase so I can use it as an extra bag on the way home if I’ve got a bit of extra baggage and it’s really functional along the way when I want to carry a bit of gear for the day but not my backpack. As a beach bag there are quite a few advantages, not only does it hold a fair bulk of gear but it’s comfortable to carry, easy to shake the sand off or wipe clean from sunscreen smears, and it keeps the sand out pretty well. My skincare doesn’t change too much year round so these products aren’t just for summer in my routine but they are essential at this time of year. The first is hyaluronic acid, this is a hydrating acid found naturally in the skin that helps to keep it refreshed, plump and supports cellular renewal. There are various sizes of hyaluronic molecules and that determines how far into your skin the hydration effect is carried so I like to use a dedicated product like the Hada Labo Gokujyen that contains multiple weights, it’s a Korean product but I either stock up on it while in Japan or purchase online as it’s not in store here in Australia. This ensures my skin is thoroughly quenched and any pesky fine lines stay hidden away. The second essential of course is sunscreen. While there’s been a push in the last couple of years to mineral rather than ‘chemical’ sunscreens, they’re all chemicals and all have pros and cons. One of the reasons given for choosing mineral options is a reduced risk of skin irritation but this does vary depending on the individual. I get redness, heat and itching to varying degrees from many mineral sunscreen products, these are the ones that include zinc oxide and titanium dioxide as their active ingredient so it’s taken a bit of research and discomfort to find products that don’t react on me. Fortunately, I have found some that are comfortable to wear, they look good on the skin both on their own or under makeup and I can totally rely on them to do the job even on really hot and humid days. For the face I prefer Biore Watery Essence, it’s SPF 50+ and PA++++ which means it has the highest level rating for blocking both the UVA (aging) and UVB (burning) rays. It’s got a cooling liquid, gel texture and applies quickly and evenly with great coverage so I don’t miss bits. It drys quickly and isn’t visible on the skin but leaves a smooth finish that’s a great base for makeup. I use it 365 days a year and it’s never broken me out or given the slightest irritation, you really don’t know you’re wearing it. While no solution is perfect for topping up once the makeup is on, it is important to do, the light texture of this one gets the job done and leaves my makeup intact (as much as humidity allows). I just spread it between my fingertips then press on lightly avoiding rubbing. 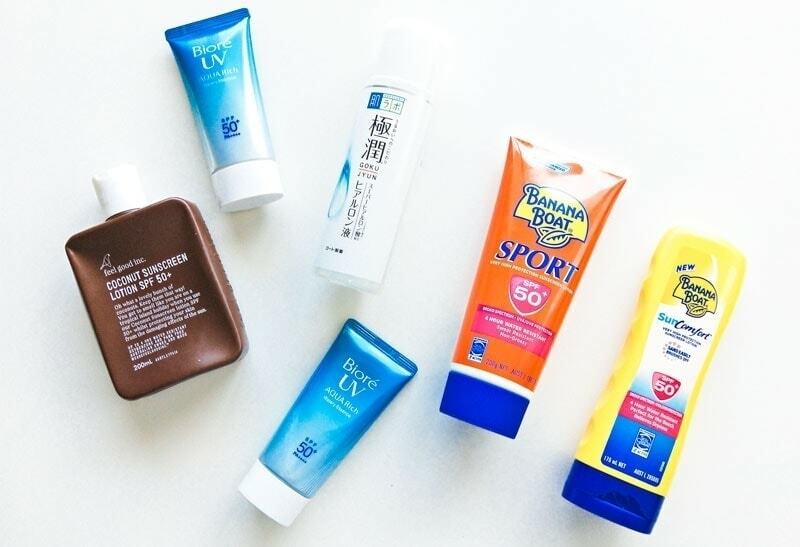 For the body I have a couple that I use regularly, the Banana boat Sport and Sun Comfort are both broad spectrum SPF 50+, they are affordable, readily available and they aren’t sticky or oily. They are both also water and sweat resistant. The other one I started using last year and love is called we are Feel Good Inc . I’ve been using their broad spectrum SPF 50+ coconut sunscreen which is great when we’re swimming in the ocean, which let’s face it, is a big part of summer. It’s free from oxybenzone, octinoxate, paba and parabens which makes it safer on our coral reefs and marine life. It’s not greasy, rubs in easily, can be used on face and body, isn’t tested on animals and is comfortable to wear, being designed and tested in our harsh Australian climate so we know it’s up to the job. It goes without saying that drinking water to keep your body hydrated and cooling naturally is essential throughout summer. I have a couple of water bottles and love them for different reasons. The aluminium flask style is great for keeping my water colder for longer and sometimes that’s the priority, there are some super cute options with these available now but I don’t like drinking from the open bottle as much as a sipper. It’s also harder to keep clean as you can’t see inside so I keep these ones for water and only water. My sipper bottle I’ve been using most days for the past year has been the Camelbak Eddy, at 750 millilitres it’s a good size to carry but I also don’t have to top it up too many times a day. I like the wide opening easy clean option because I put apple cider vinegar in my first bottle of the day and that can create residue if you’re not careful. I’ve also discovered the new cold brew fruit infusions by Twinings and they make a nice treat now and again but any time you’re not putting straight water in your bottle it’s going to need a bit more vigorous cleaning. On a similar note, I’m also finding the wide neck thermal jar by OZtrail a great summer option for picnics or early morning starts. While I’d originally intended this for hot drinks and soups I’ve become quite a fan of green smoothies, especially with all the fabulous tropical fruit in good supply at the moment and this keeps them icy cold until we’re ready to drink them. Are you planning to head away anywhere fun in Australia this summer? These are a few places around the country that we love and some tips on how to enjoy the best that each has to offer. Byron Bay is synonymous with summer in Australia. Head here to soak up the beach vibes and be as active or relaxed as you want. North Stradbroke Island is in Morton Bay off the coast from Brisbane. For an island that is so quick and easy to get to from a capital city, you will feel like you are a world away as soon as you step off the boat. Go for the day or stay a while, it really is an idyllic spot. We find Yamba and Angourie to be a lot like Byron Bay just a few decades earlier. There are so many gorgeous beaches to chose from, wildlife, swimming holes and a stunning coastal national park. The laid back atmosphere, gorgeous beach, proximity to the rainforest and Great Barrier Reef make Palm Cove in tropical north Queensland a great option to get away to. With its temperate climate, summer is a great time to visit the southern state of Tasmania and Hobart makes a great base with so much to see and do nearby. For those with a love a fresh locavore produce this might just be the foodie capital of Australia. 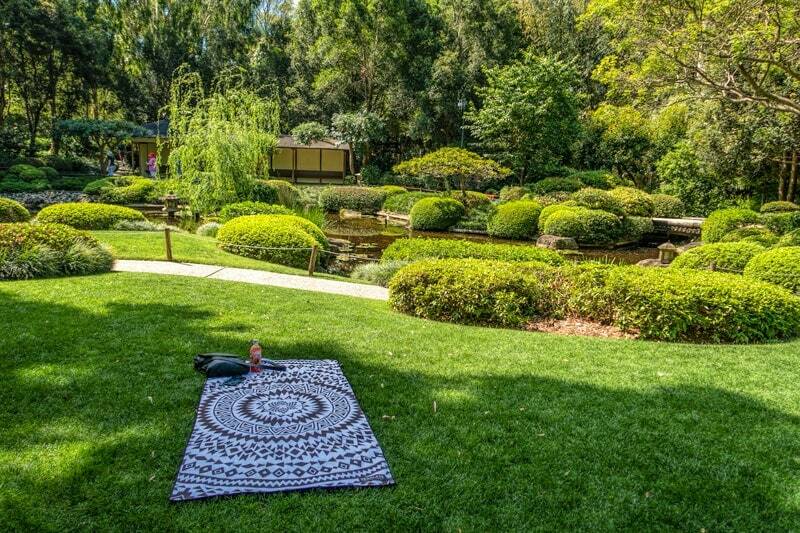 There are plenty of shady spots and fabulous restaurants where you can enjoy the views of the Barossa Valley in South Australia along with their distinctive reds and local produce. If you have any questions please ask and we would love to hear in the comments below where some of your top summer holiday spots or short escapes are around Australia.